It’s time for some IPAs! 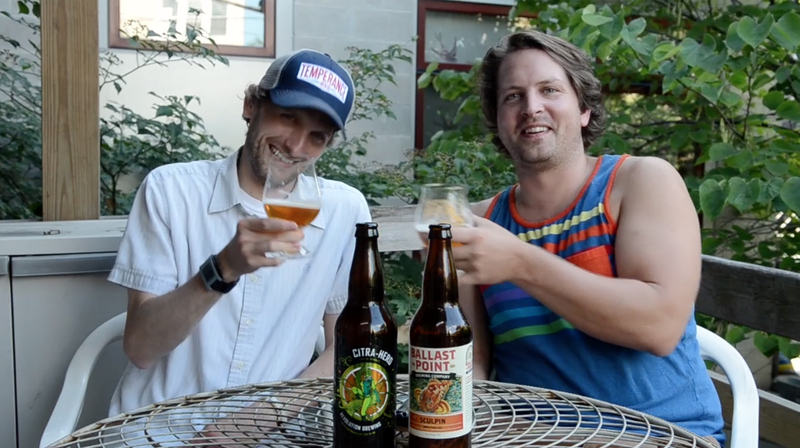 In episode 243 of the Hop Cast, Brad Chmielewski and Ken Hunnemeder crack open two different IPAs, one from Illinois and one from California. We’ll see how they stack up against each other and if those west coast IPAs deserve all the hype. Kicking this off Brad and Ken open one of their favorites, the Ballast Point Brewing Company’s Sculpin IPA. Ballast Point hasn’t been in the Chicago market that long but it’s a real treat to have this beer around town, especially now that it’s in cans. This 7.0 % ABV IPA packs a bit of a sting, just like a Sculpin fish. Next the guys open the Revolution Citra Hero. This 7.5 % IPA has multiple additions of Citra in the brew kettle and then dry-hopped with one pound per barrel of Citra. This series of beers from Revolution are great and you can’t go wrong picking up this one or even Crystal Hero. Now go grab yourself an IPA! Thanks for watching the Hop Cast. Cheers! Having issues listening to the video? Try the Quicktime (314.6 MB) or subscribe to the podcast on iTunes or Stitcher. In episode 228 of the Hop Cast, Brad Chmielewski & Ken Hunnemeder are seeing red… Red Ales that is. Red Ales are one of Brad’s favorite styles and if you were in Chicago you might of been able to taste the hoppy Red Ale Maeve and him brewed at Haymarket, Two Hoppy Hearts. 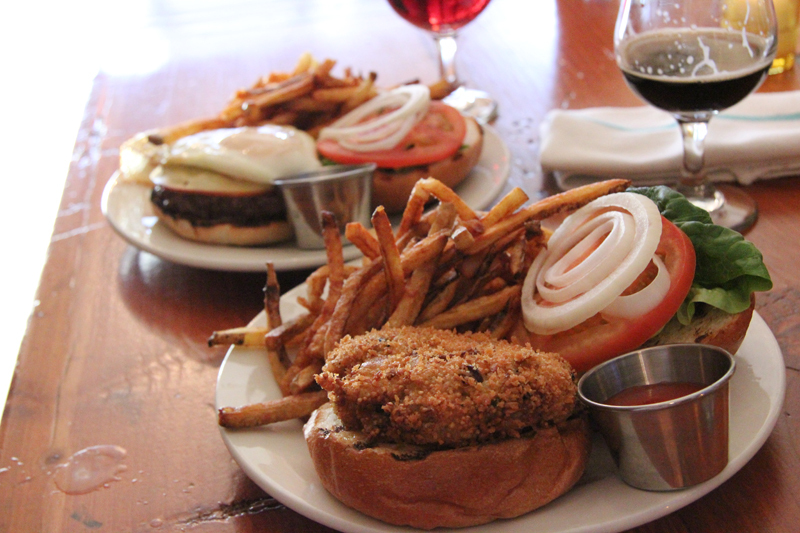 If there is a Red Ale on the menu it’s usually gonna get ordered and these two on this episode are no exception. First up is the Red Skull from Revolution, this 8.3% ABV Imperial Red Ale is brewed with whole Cascade hops and dry-hopped in both the fermenter and the serving tank with whole Crystal hops. 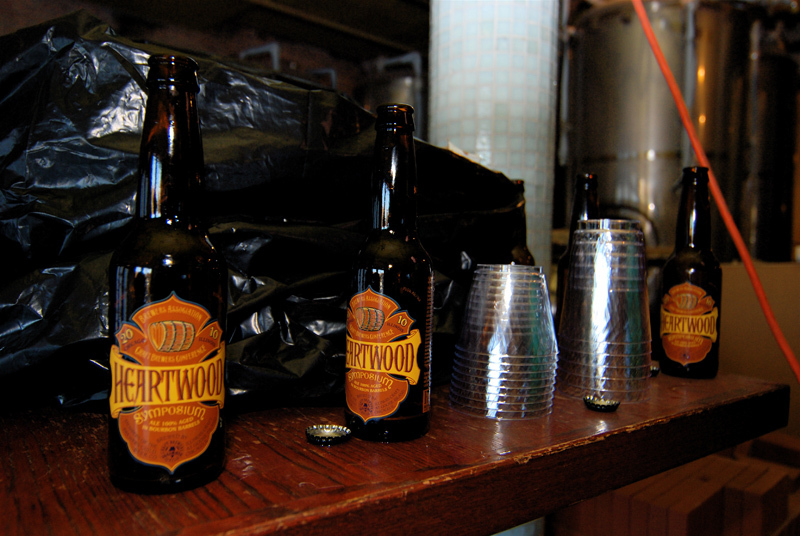 This beer was originally brewed at the Pub by brewer and friend of the show, Wil Turner and named for his wife, Deb Turner. Next up is the Revelry from Two Brothers. This 9.50% ABV beer packs a big punch in a little bottle. Imperial Reds can be some big beers that bring a lot of flavor with a heavy hand of hops and a big malt background. If you’re an IPA fan and you’re looking for something a little different but still has a hop punch, give an Imperial Red Ale a try… these two beers are great places to start. Cheers & thanks for watching the Hop Cast. Having issues watching this video? Try the Quicktime (345.4 MB) or subscribe to the podcast on iTunes. 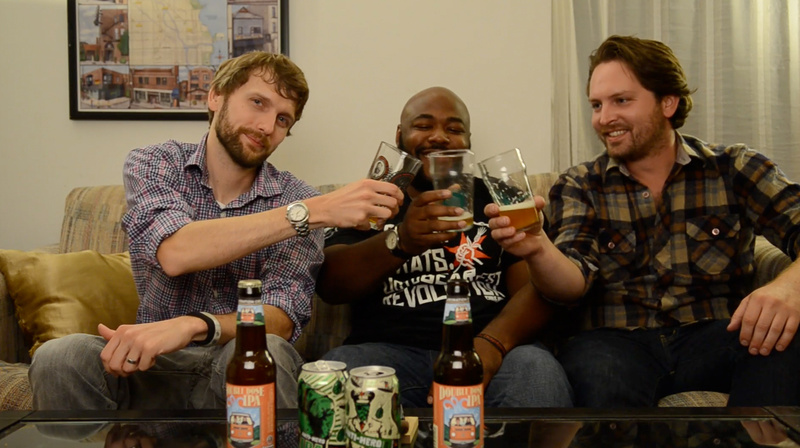 It wouldn’t be the Hop Cast if we didn’t do some IPAs every now and then. 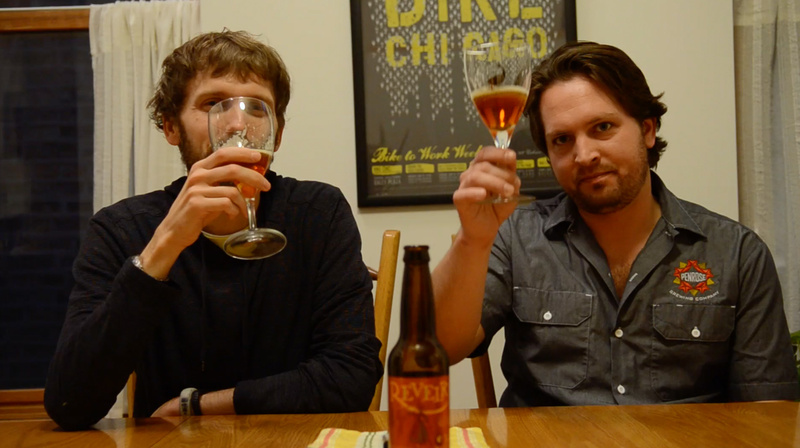 In episode 222, Brad Chmielewski and Ken Hunnemeder are joined by Nik White for two tasty IPAs. 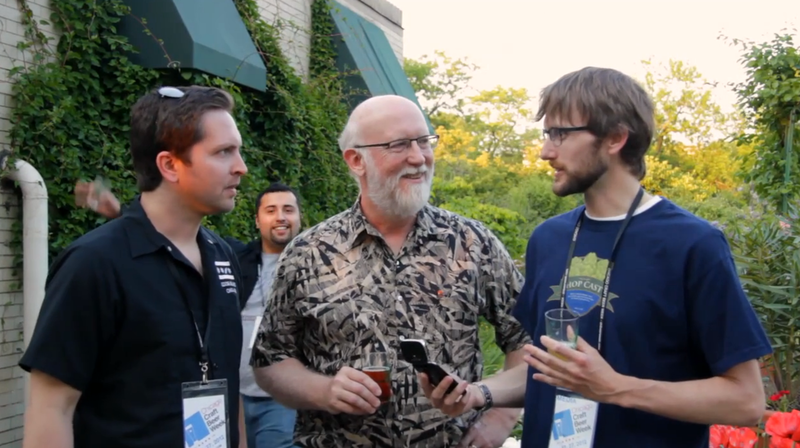 Nik White is the co-founder of Chicago Beer Geeks and also the co-host of Chicago Beer Pass, so he knows his way around a craft beer or two. The three of them dive into a local IPA first, Anti-Hero from Revolution Brewing. This 6.5% ABV IPA is almost always fresh due to the high demand in Chicago and once you have one, you just might find yourself drinking it all day. Next up is the Otter Creek Brewing / Lawson’s Double Dose Imperial IPA. The Double Dose is one Brad and Maeve brought back from their recent road trip to Vermont. This collaboration creation combines the talents of two breweries into the uniquely delicious 8.5% ABV IPA. Having issues watching this video? Try the Quicktime (322.8 MB) or subscribe to the podcast on iTunes. 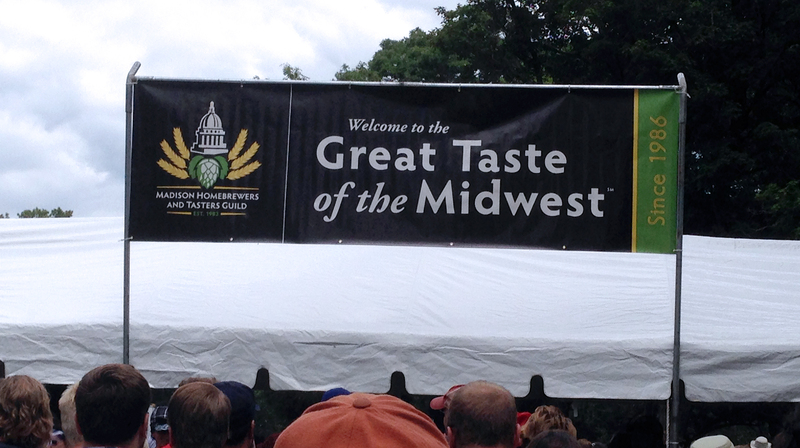 I hope at this point everyone has recovered from the Great Taste of the Midwest last weekend. After hearing about GTMW for years this was the first year I was able to go and I finally scored tickets and made my way up. Getting tickets for the most part was pretty easy. 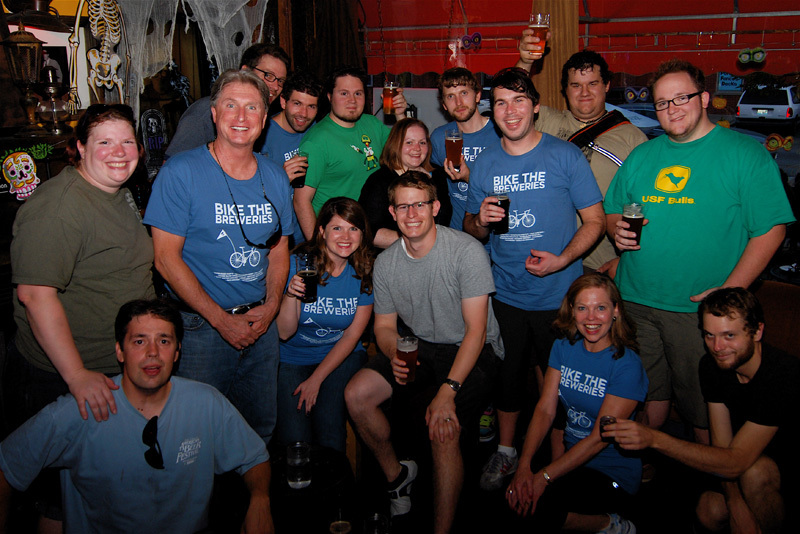 The Chicago Beer Society each year gets a block of tickets that they sell to members. 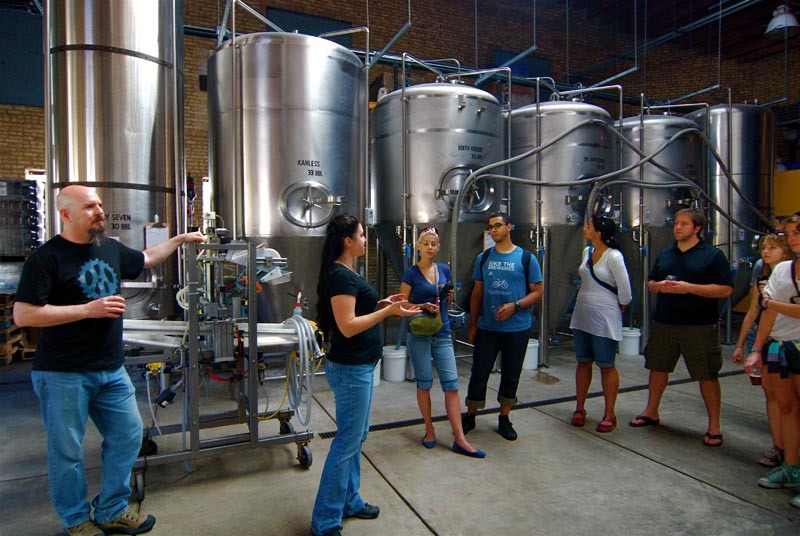 It costs $25 for individuals or $40 for couples a year to join the Chicago Beer Society and you get access to a number of great events including GTMW. The tickets for GTMW cost $60 through the Chicago Beer Society because this includes the price of the shuttle bus there and back. 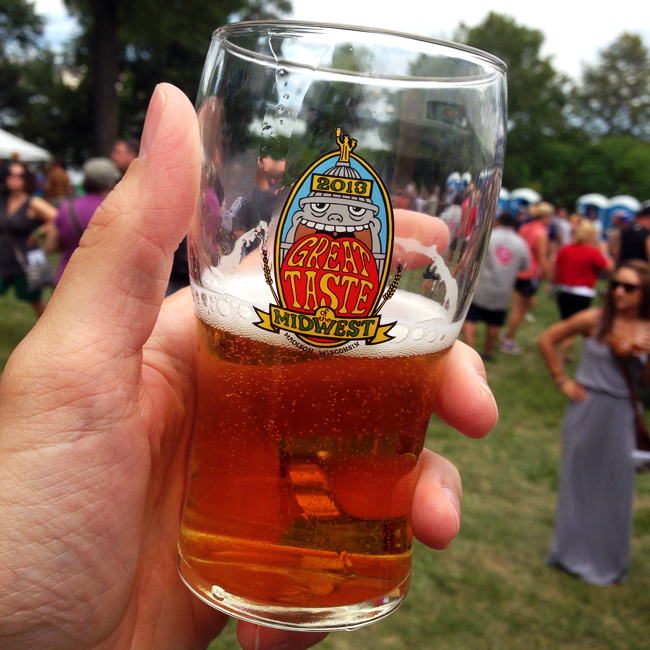 The tickets they get for GTMW do go fast so you have to respond quickly with your money. 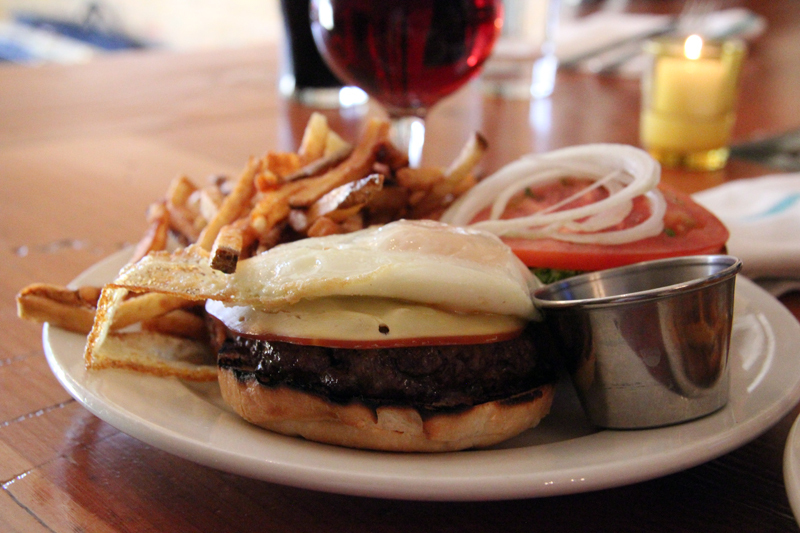 Now, everyone will tell you that you need to go up to Madison on Friday before the festival and go to all the bars. Most of the breweries sponsor a different bar and put their beers on tap with special tappings, brewer meet-n-greets and other fun events. Unfortunately or maybe fortunately, Maeve and I couldn’t go up early. When you get tickets from the Chicago Beer Society you need to ride the bus to Madison with them and they give you your ticket once you get up there. I’d say its a pretty good deal, you don’t have to try to figure out how you’re getting to Madison and since the bus takes you back to Chicago that night you don’t have to worry about booking a hotel, driving or bumming a ride back that night. A pretty good deal over all so if you live in Chicago or in the suburbs and you aren’t a Chicago Beer Society member, fix that right now. Our bus left from Goose Island Clybourn around 9:30 (there’s a separate bus that leaves from the west suburbs) and we ended up at the festival at about 12:30. Doors / gates don’t open till 1:00 PM so you spend a little while waiting in line thumbing through the fest booklet they hand out that lists all the beers and brewery locations. This was the first time I had even seen the list for the day. The only thing I had heard about beforehand was what Ken mentioned that Goose Island had planned. Ken has been to GTMW for the last several years working the event and went up earlier in the week to help set up for the booth this year. These days I’m not one to plan much when I go to a beer festival. Planning might allow you to try some of those rare, hard to get beers but by not planning you may get to stumble on a new beer or brewery you’ve never heard of. And that’s how Maeve and I handled the festival. 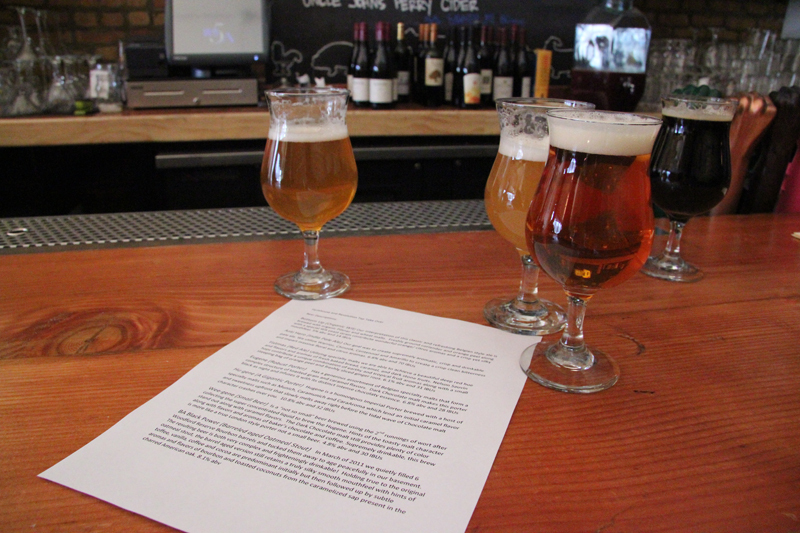 With over 1000 beers you’re going to find something new you’ve never heard of or tried before. This wandering and lack of planning can often backfire which it did for us when we first walked in. We grabbed a couple of beers from a brewery we don’t often drink and instantly had to pour them out. First beers and they all got dumped, not a good start to the day. We quickly grabbed another beer we were familiar with and moved on. Making a quick stop at Goose Island to say hi to Ken and all the folks over there. Goose Island and Revolution Brewing both had some of the biggest and most elaborate set ups at the festival. Goose Island with their barrels all lined up helping guide people in a line and then Revolution Brewing with a halfpipe, skateboarders and a DJ out. Extremes for sure but pretty awesome to see how both these big names make a splash at the festival. As Maeve and I wandered around we ran into a ton of great people like Gary Gulley of Panic Brewing, Mike Rybinski of ZwanzigZ Brewing (can someone do a video so we all know how to say this) Deb & Wil Turner of Revolution Brewing, Justin Maynard from the Illinois Craft Brewers Guild, The crew from Haymarket, Tom Korder from Penrose Brewing, Jess from Revolution Brewing, Nik White of the Chicago Beer Geeks, Mike of Beer Genome Project and many of the Chicago brewers we’ve gotten to know over the years. Walking around this park is crazy, in the 5 hours we were only able to do one big drunken circle. The thing is massive and overwhelming. If you did make a plan I don’t know how you kept it all straight, especially after a dozen beers. I would say I wish we had a couple other friends with us throughout the day so we could have tasted and shared more beers; it’s difficult with just the two of us. Walking around I noticed a ton of people with chairs and blankets laid out, they were just enjoying the day. 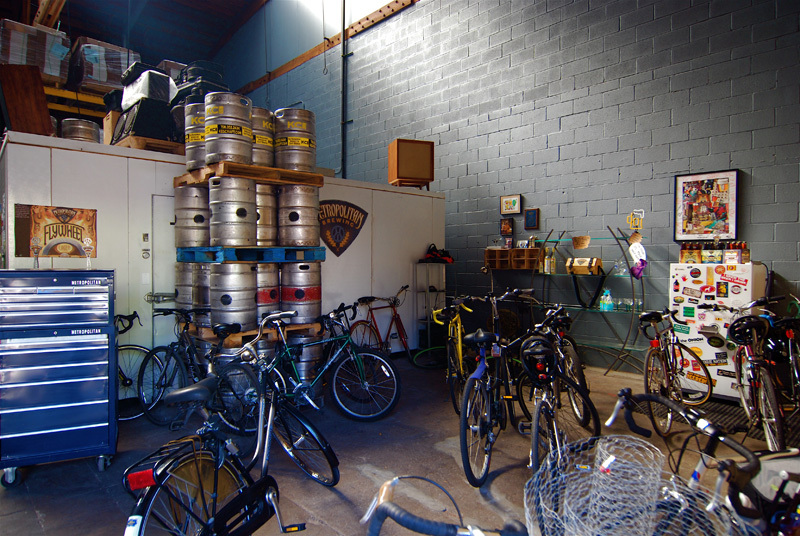 Which to me seems like a waste, I mean come on people there is beer to drink, get moving. Ha! Overall the day was fantastic and the Great Taste of the Midwest is a lot of fun. I know I had more than my fair share of great beer that day but that didn’t stop Maeve and I from stopping in at Goose Island Clybourn for some food and more beer after the Chicago Beer Society bus dropped us off. For all the hype of the Great Taste, it’s a lot of fun and it’s great to see so many people out supporting craft beer. The special tappings are good if you want to wait in line and the set ups Goose Island and Revolution Brewing do are cool to see. 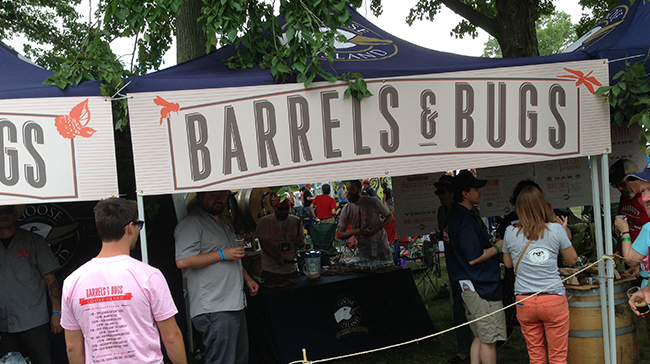 There’s a ton of great breweries at this fest but in the end its really just a big beer fest. Mostly it’s nothing you haven’t seen before if you’ve been to another beer festival. Be sure to go if you have the opportunity to but don’t beat yourself up about not being able to make it. It was a ton of fun but there’s a festival almost every weekend in the summer. 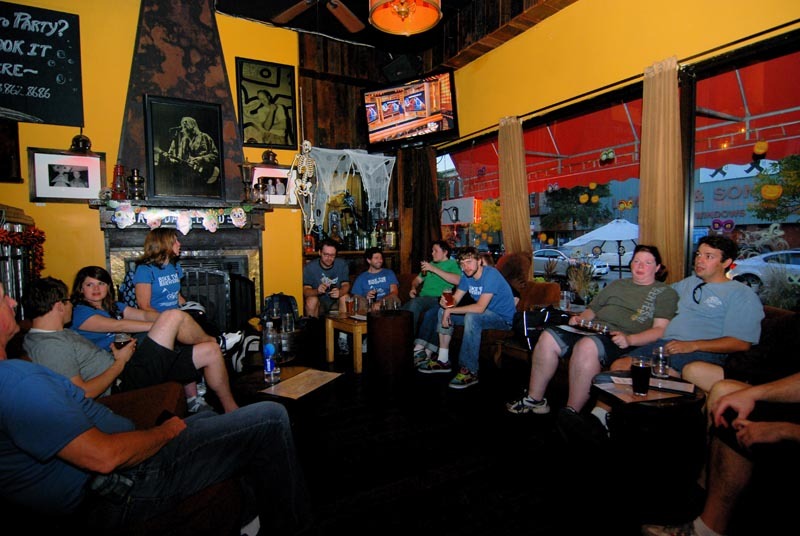 I for one missed the Oak Park Micro Brew Review and I hear that’s good too. The Chicago Craft Beer Week kicked off at the Garfield Park Conservatory with the event, Beer Under Glass. Ken Hunnemeder and Brad Chmielewski we able to check out the event and even managed to chat with a few of the local brewers about projects that are under way. All of you home brewers should recognize our first guest, Randy Mosher. 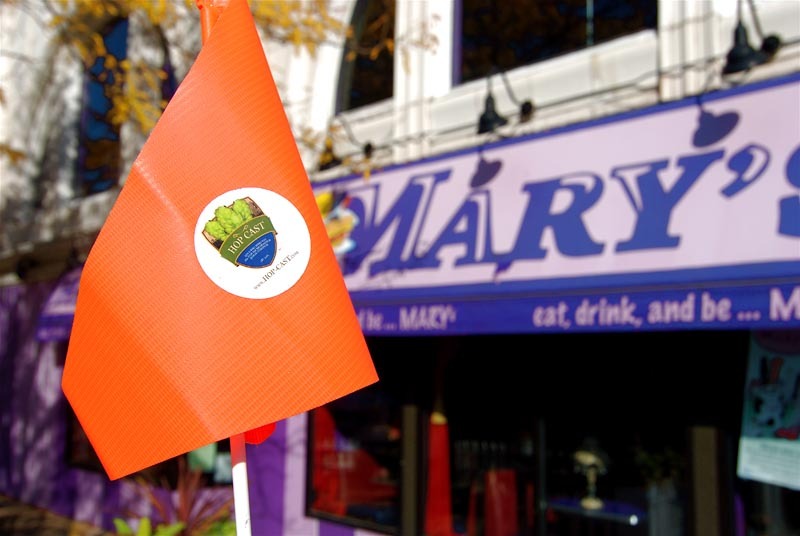 Randy talks about the great news that 5 Rabbit has signed a deal on a brewery facility in southwest suburban Bedford Park, just a mile from Toyota Park. They hope to be up and brewing later this year if everything goes as planned. Speaking of new facilities, Ken and Brad were able to grab Josh Deth to talk about the opening of the Revolution Brewing production brewery. Revolution Brewing is going to make a big impact on the Chicago beer scene with its new facility. 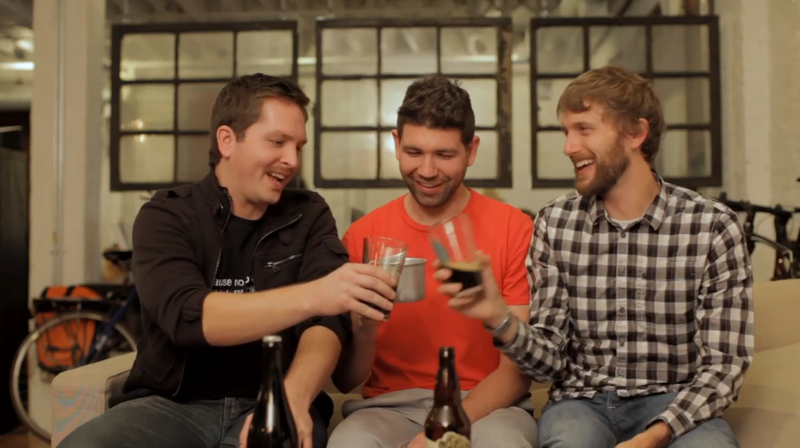 After a few more beers, Ken and Brad spoke with John Barley of Solemn Oath, the newest Chicagoland brewery to open it doors. 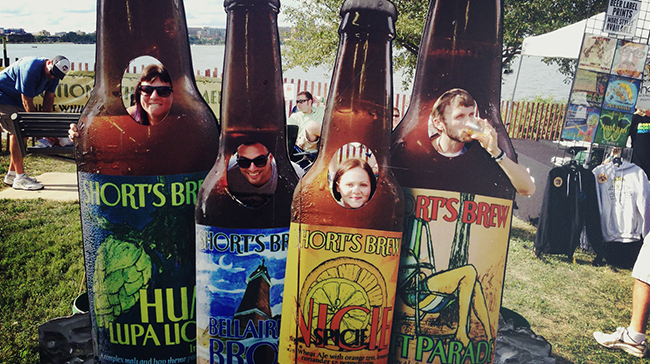 They currently have four beers that you’ve probably seen popping up around Chicago. These guys are out in Naperville so all you beer lovers out there in the burbs now have another place to grab some great craft beer. 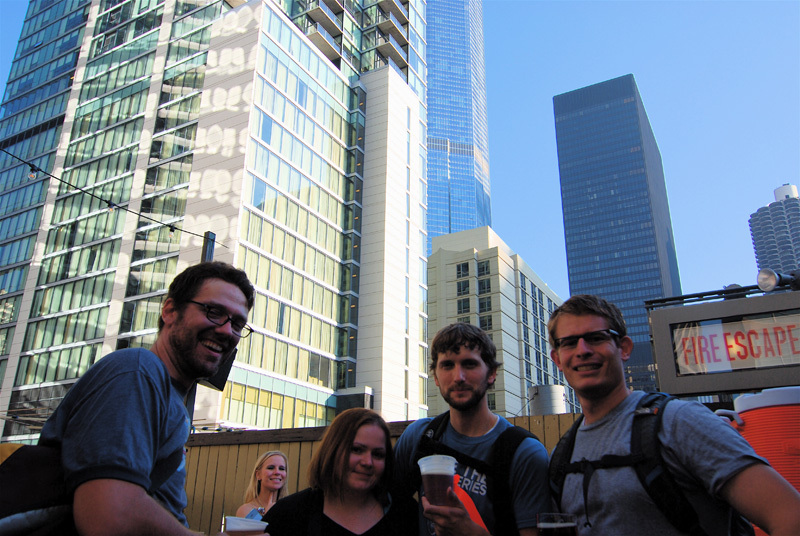 Beer Under Glass was the perfect way to kick off Chicago Craft Beer Week. Next year, if you see this event listed on the website, be sure to grab tickets. Its one of those events you don’t want to miss. Having issues watching this video? Try the Quicktime (311.2 MB). 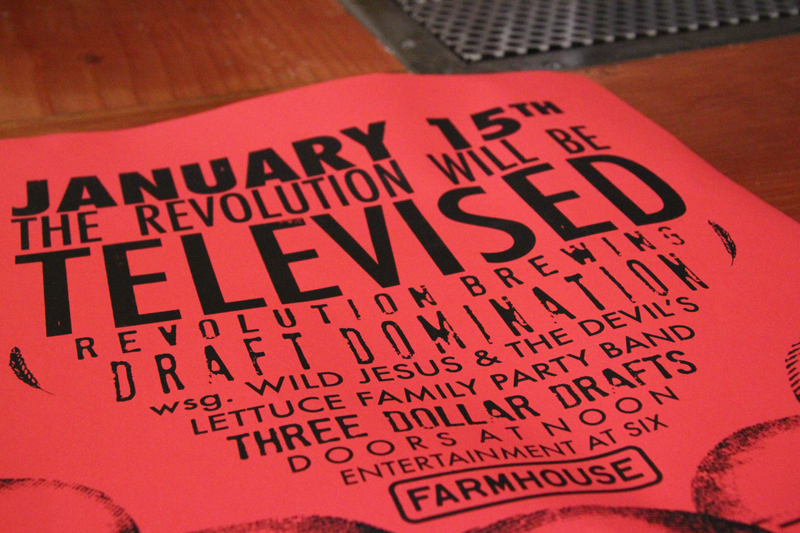 In episode 163 of the Hop Cast Ken Hunnemeder and Brad Chmielewski are at The Farmhouse for the Revolution Brewery tap takeover event. 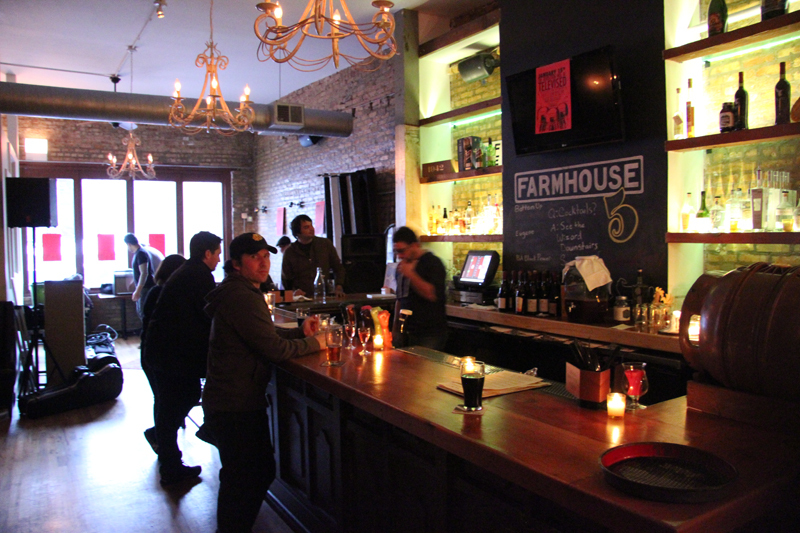 The Farmhouse focuses on local midwest beers so the idea of a local brewery tap takeover is perfect. Robert Diaz joins the Hop Cast to talk about what The Farmhouse has been doing and what they have in store for the future. Along with live music and great eats, it makes for a fun event that you wouldn’t see anywhere else. The Farmhouse plans to do a tap takeover event every month with different local breweries so make sure to check one out in the future. Having issues watching this video? Try the Quicktime (154.0 MB).